With multiple locations, multiple levels of care and more than 1,100 residents and 1,000 staff member this nonprofit Senior Living Facility (SLF) generates and maintains a lot of data. From patient records, medication reports, accounts payable/receivable and human resources records to managing donations, tax records, maintenance/repairs and coordinating volunteers, the “paper-work” never ends. As a forward-looking facility desirous of being both efficient and costeffective, they were an early adapter of Electronic Medical Records (EMR), so in that respect, at least, their paper-work went digital a while ago. Computerized records and various software programs help them to track donations, maintain mailing lists, bill government agencies, maintain audit records, write letters, post weekly menus and record the other day-to-day business functions that need to be tended to, with many records residing on local computers or facility networks. As happens with many early adapters of technology, this SLF needed to update their EMR system to take advantage of newer technology, as well as to meet current regulations and requirements for Electronic Medical Data. Additionally, the SLF also had a legal requirement to maintain the 500,000+ records that were housed within the old EMR system. This was where the problems began. The company that maintained the old EMR system advised the SLF to continue to maintain the old system in order to preserve the files. Due to the expense required to simply maintain many gigabytes of stored data within the old EMR system, even when they were not using the EMR, the SLF felt that this was not an acceptable solution. Moving the data and records from the old EMR system into the new EMR was also unacceptable. It would have required extensive labor time and cost in data entry to enter each of the old files into the new system by hand. There was no easy way to do a bulk transfer. At this point, the SLF began broadening their inquiries to see if anyone could offer a cost effective solution that would enable them to terminate their relationship with the old EMR system, yet maintain and access the records contained in the old system without spending enormous amounts of time and money on data entry. Paper Alternative had a solution! In a moment of serendipity, two old friends crossed paths — one who worked for the SLF, and the other who worked for Paper Alternative and the solution was born: The records within the old EMR were electronically printed to PDF, a process that took less than 10% of the time it would have taken to key in each record to the new EMR. 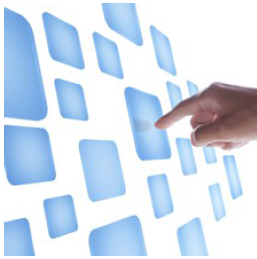 Using a combination of technologies, Paper Alternative was able to import and index the entire batch of records in about a week, and upload the searchable electronic data files to a Cloud-based ECM, built on the secure, robust ImageSilo® technology. Now the SLF has full, fast and easy access to all of the old files at a cost far below that offered by any other solution. In addition to the PDF documents, a variety of other electronic documents were uploaded in native format including Excel spreadsheets. Molly McGowan, President of Paper Alternative. Having discovered the Paper Alternative solution, the SLF plans to go even further into the Cloud, with their next data conversion project planned for the HR department. The HR department is the logical next step in data conversion, since, next to medical records, the HR department has the largest number of files and the greatest need for file retention, even for former employees. 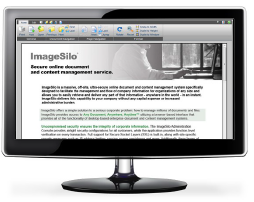 One of the advantages of the Paper Alternative / ImageSilo® solution is the scalability. Because this is a subscription-based service, the SLF uses exactly the amount of storage space that they need, when they need it. Storage space can be scaled up, or scaled down, and users are charged on a monthly basis for exactly what they’ve used.